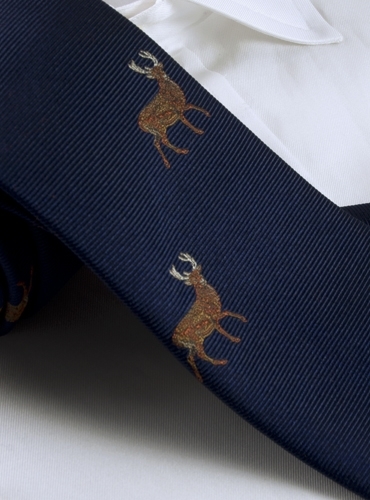 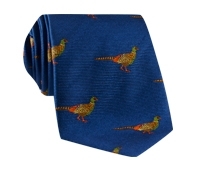 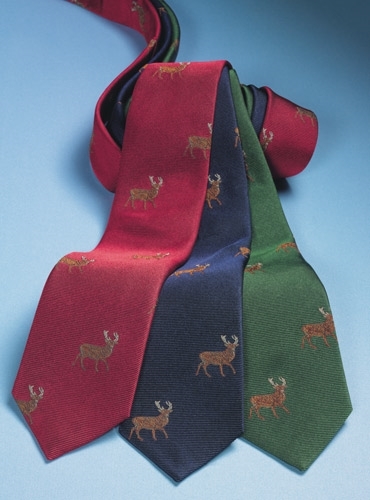 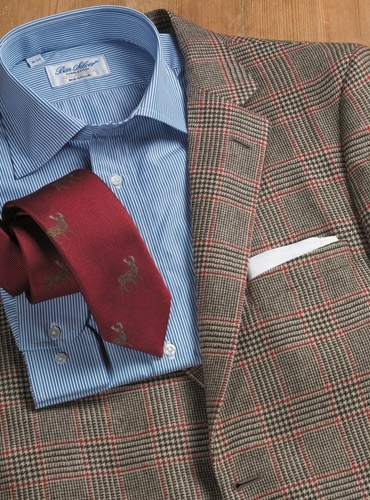 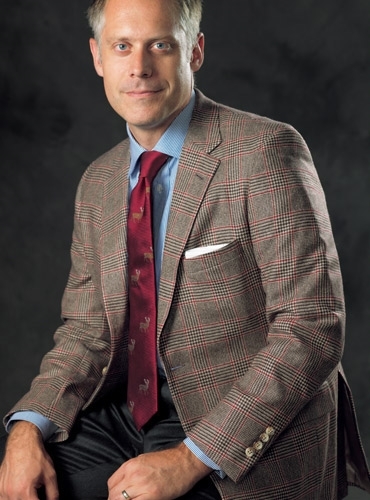 Pure English silk jacquard woven elk motif neckties are in three ground colors. 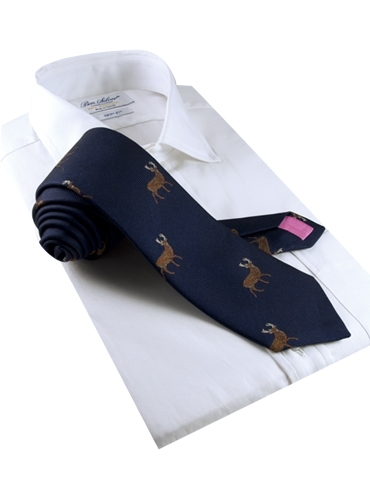 Shown here in: B-navy. 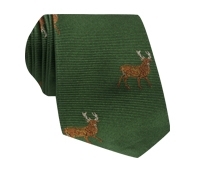 Also available in: A-cardinal; D-forest.